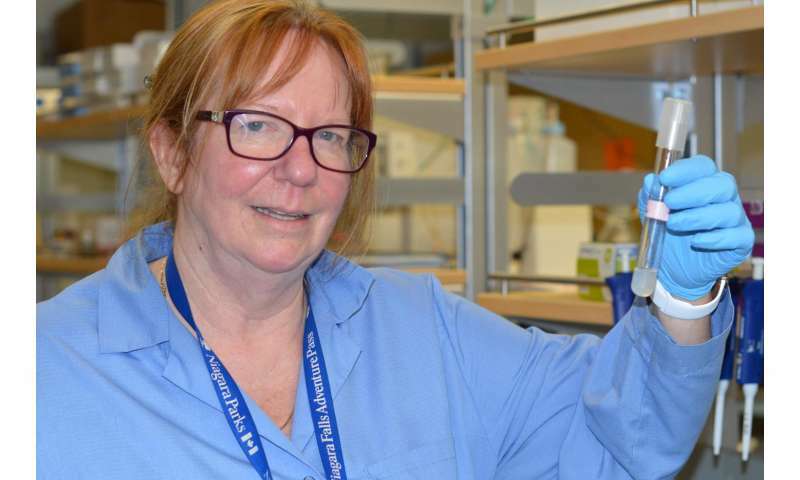 UBC researchers have isolated organisms that cause acid-rock drainage in mining operations. "Mining waste is an environmental concern in many parts of the world and currently costs a great deal of time and money to the companies that deal with it responsibly," says Deborah Roberts, a professor of engineering at UBC's Okanagan campus. "Now that we have isolated the type of micro-organisms contributing to this issue, further research may help us manage them with antibiotics, like other bacterial infections." Acid-rock drainage is an issue that harms plants and aquatic life by raising the pH levels and dissolved metal content in surface and groundwater. The two-year UBC study isolated three types of sulphur oxidizing bacteria and two types of iron-oxidizing microbes that are active at low temperatures and contribute to the rapid production of acid in mining waste. As part of her study, Roberts examined numerous samples of tailings from mining projects in Alberta, focusing on the types of organisms present and how they behaved at different temperatures. According to Natural Resources Canada (NRCan), tailings are classified as byproducts that remain after the extraction and recovery of minerals from resource extraction operations. Currently, according to NRCan, there are two primary methods of long-term tailings management, which include wet or dry covers. Wet covers require site-specific conditions that allow tailings to be continuously submerged in water, referred to as tailings ponds. Dry covers employ the use of a solid material, known as caps, such as soil to physically separate the tailings from the environment. Roberts' research aims to add a third treatment method to the mix, allowing mining waste to be returned to their natural state without ponds or caps. Roberts' study was recently published in the Canadian Journal of Microbiology.